As the cost of solar panels decline and the cost of power from traditional sources increase, consumer solar electric generation trends are going to favor homeowners installing their own solar panels on the roofs of their houses. Home owners in the south western United States find that there is e a positive business case for a solar power installation. Rates per KW are high for electricity. Solar power is getting cheaper and they have more days fo full sunshine than most other areas in the US. Based on our research, the cost of generating power via solar panels has dropped 10% per year over the past 5 years. As a result it is now near the national average of $.12 per kilowatt. In many places the cost of power is much higher than this figure. High cost of traditional power supports the business case to install solar power generating panels on the roof of a home. Over the next 25 years there will be a significant increase in solar power generation. Solar power may never replace or even jeopardize the existence of large traditional power generation plants. They will have an impact on the industry over time and be an alternative power source. Consumers will demand better more efficient prices. 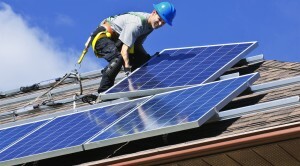 Either by installing solar panels or by the traditional players developing more efficient power generation of their own. Solar power generation will grow significantly. From an estimated .2% of the total to a much larger portion of the power industry. The smart home industry is still in the early stages of development. 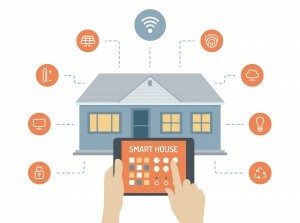 There is not a smart home component design strategies plan in place. Many companies are developing components that will fit into a larger system however right now they are just components. They will be upgraded many times, there will be new devices added and gradually standards will be developed so that you can connect one companies devices to another companies devices and systems. But right now, it really is a confusing mess out there and also expensive. What should a consumer do in a situation like this one especially if you are the early adopter type of person? The answer is to develop your own strategy around a smart home. Focus on the things that you really want to automate and those that provide security functionality. These devices and components are not cheap so you will also need to factor in your budget for this project. Next spend some time reviewing those companies that have a complete system that meets your requirements. There is no sense trying to mix and match at this time from several companies if you want them to all interact with each other. Finally assess the companies that are in it for the long haul, have a development strategy of their own and provide support to their customers. If you do all of this you may have a chance of installing a smart home system that meets your needs. It can interact with a central controller and is evolvable as devices and systems develop further. For more energy saving ideas, click here. We have all seen the advertisements from cable companies, phone companies and security companies about enhanced alarm systems and systems that allow us to control our homes remotely. There are a variety of applications that do everything from manage the alarm system, take videos of intruders to locking doors, adjusting the temperature and turning lights on and off remotely. The question that this writer has is whether it is all worth the cost and whether the home insurance company will provide discounts to help defray the cost of installation and ongoing monthly fees? First of all what are the applications that might interest the average consumer? Automatically adjusts the heating or cooling system when a window is open. Remote control of the heating / cooling system. Automatically turns off the light when no-one is in a room. Video recording activated when a door opens, emailed to consumer. Detects water leaks and automatically turns the water valve off. Turns the tap on when a hand is placed under it and off when it is removed. Activates an automatic blocking system if the sewer backs up. Detects smoke and heat in case of fire and alerts the fire department. Detects if water pipes are at risk of freezing up. turns on the heating system, raise the interior temperature and notifies the consumer. All of these smart home functions are real possibilities. They will improve as time goes on, however are they really needed and will they meet the return on investment criteria. Bottom line, probably not, unless you attach peace of mind to the equation. Also if you consider it high value as well. There just not enough real value to offset the cost of adding all of these features at this time. Once they come down in price and the home insurance quotes reflect a credit for home alarms and smart home automation they may be interesting. For more energy savings ideas, click here. Light your kitchen counters for pennies a month by using a new solution, ie. LED under cabinet lights that are easy to install and save you money at the same time. In our specific situation, we were doing some do it yourself work in the kitchen replacing existing fluorescent bulbs, the tube variety, when we noticed that the plastic holder for the lights had become brittle, cracked and fell apart in our hands. In fact I even got a bit of an electrical shock when I accidentally touched the now bare connectors. It was time to change the entire installation with something new and we opted for an LED under cabinet lights solution. Are LED under cabinet lights ready for prime time? There are some barriers to using LED lights. First the cost is still high, but if you live in the right area, there are some financial incentives in terms of coupons available to use towards the purchase of LED lights. Check for available coupons before you make your purchase. Secondly these LED’s use so little power, they pay for themselves relatively rapidly, especially if these lights are left on a longish time in your home which ours are. They also come in various colors so you may want to check this out before buying. LED under cabinet lights brighten our kitchen! We put two LED under cabinet lights beneath each cabinet, for four in total. We could have used 20 watt Xenon under cabinet lights. That would mean whenever we have the under cabinet lights on we’d be using 80 watts. This is a not insignificant amount of power. Since we love to cook, and spend hours in our kitchen each day, that could add up to a reasonable amount of electricity consumption by these Xenon bulbs – about 120 kWh a year, or around $20 in electricity costs, based on our leaving them on for 4 hours a day. Our LED under cabinet lights, in contrast, use a mere 2 watts each – one tenth the power consumption of Xenon lights or other halogen puck lights – and cost us under $2 a year to run. The LED lights we purchased are daisy chained together and the final one is plugged into a regular electrical outlet. Our existing fluorescent lights were hard wired which is not to code today. We had to install a properly grounded electrical outlet and plug the new LED lights into it. Fortunately the plug and the actual LED bar are hidden by the cabinets that provide for this sort of thing. We are very happy with the quality of the light and leave these lights on almost all day long. They do not generate any heat what so ever so there is no worry about over heating either. 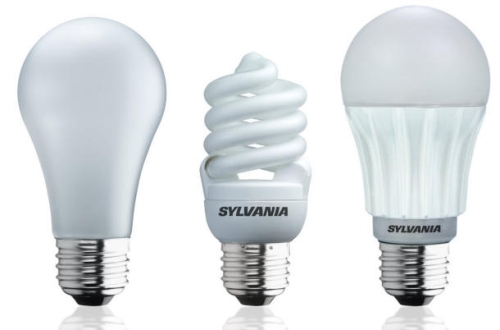 We have decided that when our current crop of fluorescent bulbs finally stop working(they do last a long time), we will switch to LED lights. In addition we also installed a new LED chandelier over the kitchen table. The only caution here is that if you want to dim these lights, you must purchase a special dimmer switch that is suitable for use with LED lights. All told, I spent about $90 for four 4-light kits. Certainly more than Xenon would cost. However these lights don’t get nearly as hot as Xenon under cabinet lights. There will be less heat damage to my cabinetry. There is also less heat produced indoors during hot weather (which can affect air conditioning costs). We are about to install a new toilet in our home to replace existing one that we have. My wife’s motivation is to replace existing toilet because it doesn’t look great, it is not modern, and doesn’t fit with her our decor. My motivation to replace his toilet is to reduce the amount of water usage that it currently uses every time we flush. 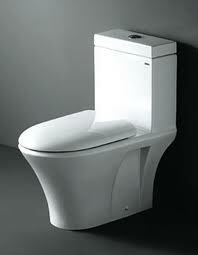 Our old toilet will use up to 12 L of water every time which is about 3 gallons of water. The new toilets use between four and 6 L of water each time they are flushed depending on whether you have a dual flush toilet or a single flush toilet, either way it is a significant savings in the amount of water that you’re using. The new toilets are also higher than the existing ones so you sit up higher. In addition you have slow close seats so that when you put the seat down you could just let it go. The seat and lid will slowly close rather than slamming down onto the toilet . In addition there are number of new features that cause the toilet to flush with much more force making it need less cleaning. We spoke to a plumber at one of our local hardware stores and he gave us a number of suggestions and hints or tricks about installing a toilet which will make the job easier. Plumbers will know this because they do this every day while the homeowner will not be aware of some of these tricks and will take the much more time or maybe even more parts. Here are the tricks that we picked up from our conversation with the plumber at our local hardware store. I hope these help you and save you some money if you decide to do the installation of the toilet yourself. You may have to use two wax rings if there are tiles on your floor and the flange is not flush with the floor. You may have to purchase a flexible water pipe connection if the existing one is too short. Sand the bottom of the toilet before installing it to make a smooth finish so it sits level on the floor. The bolts that hold the toilet in place are difficult to install. Use some of the old wax to hold the whole bolts in the proper place in the flange and then place the new toilet on top. Insert the wax ring into the toilet and not on to the flange to avoid crushing the wax ring and enabling leaks. Is central air conditioning better than split or room air conditioning? Central AC vs Split Air Conditioning systems is a question we have wondered about for some time. There are pro’s and con’s to both which we will list in this post! Before we begin, we thought we should explain these terms so that everyone is on the same page. 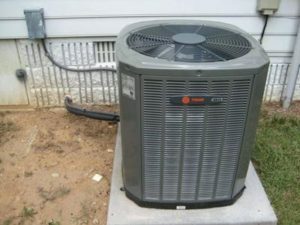 Central AC is installed in many homes. There is one air conditioning unit that provides cool air throughout the home from one location. Usually in the basement for homes with basements and from just about any other location in homes with no basement including the roof. Central AC vs Split Air Conditioning systems have much different foot prints and cost models. Room air conditioners are usually found in one room. They sit in the window and will only cool the room they are in. Also adjacent rooms if they are small and the doors are left open. Most people will locate them in the bedroom so that they can get a good nights sleep. These systems are noisy and the fans are loud, so they are something you should get used to. Split air conditioning systems are usually for larger homes and may have an AC unit for each end of the home or for different floors. There will be multiple forced air furnaces as well to blow the cooled air throughout the section of the home that they are to cool. Separate thermostats are provided. For example the sleeping area can be kept cooler than the rest of the home to enable better sleeping conditions. As a result various circumstances or design of the home will require different configurations of AC units. Older homes or homes that are heated with electric baseboard heaters. As a result do not have any way of forcing air throughout the home will typically go for in room AC. Homes that are heated with forced air gas or oil furnaces can take advantage of central or split AC systems. Certainly all air conditioning is expensive to run, using a lot of electricity. Hence any time you can shut the system off or increase the temperature will reduce the amount of electricity you are using. 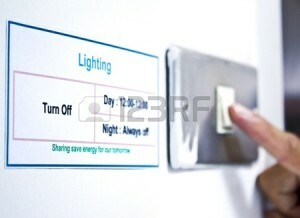 Most importantly you can control your electrical bill this way. 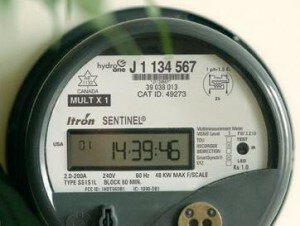 Are you on time of day electrical billing with a so called smart meter? Program your AC so that it runs mostly at night. Electricity is at a lower rate compared to the daytime cost of electricity at that time. Most importantly, evening rates can sometimes be as much as 50% less than peak rates for electrical use. With gas prices going up as we write this it is ever more important to save money by using less gasoline! We listed a number of ways to reduce your gasoline usage as well as save money at the pump as well. If you have additional ideas, leave us comments to assist our readers. Get an app for your smart phone – use GasBuddy’s, AAA’s TripTik and the YP Yellow Pages and Gas Prices, all of which are free. Others that cost money include SmartFuel, Gas Cubby and Cheap Gas. Drive less – consolidate errands to keep driving to a minimum and plan your trips so that you are not retracing your drive. If something can wait until tomorrow when you can combine it with another errand, put it off until the next day. Drive slower – Shave 10 to 15 miles per hour off your speed and you can save up to 15% in fuel consumption. You can test this easily by driving at your normal speed which is 10 to 15 miles per hour over the speed limit and noting how many miles you obtain on a tank full of gas. On the next tank drive at the speed limit and not how much further you go on a tank full of gas. You may be surprised. If you have a gas mileage monitor in your car you can do the same thing even more accurately! Keep your windows closed – at highway speeds, air racing through your car will increase its drag and burn up to 10% more fuel. I used to think that not running the air conditioning would save more money, but it is not the case. Roll up the windows, leave the AC on and turn up the temperature a notch or two to save money and have a more comfortable trip. Slow and steady acceleration and braking can save as much as 20% in fuel. Not to mention that your brakes will wear out much slower as well. We all know what a brake job costs these days and it is just not worth it to spend greater than $500 for a brake job by doing those jack rabbit starts and stops. Shut Off your car when idling restarting the car when you’re idling for more than one minute will cost you less in fuel than the wait. Even the Toyoto Prius will shut the engine off when it comes to a stop at a light or stop sign to conserve gas. Idling your car for long periods makes no sense and pollutes the air around you as well. Turn your A/C off. – the air conditioner is a big drag on your car’s engine and gas efficiency. If you do not need it turn it off, especially if just cruising around the city at low speeds, however at high speeds you are better off to close your windows and use the AC if it is hot. Turn up the temperature in your car by a degree or two to conserve energy or just let fresh air come into the car through the vents. Keep your car healthy. — clean dirty air filters, replace aging spark plugs, keep tire air pressure and fluids at recommended levels are all regular maintenance things to do for your car to maintain your car and gain maximum gas mileage from your car. Most people can do a lot of the work themselves and it only takes a few minutes to check air pressure and fluid levels. These are some of the methods to use to conserve gasoline when you must drive your car. The ultimate way to conserve gasoline is to walk to the corner store or take your bike. Not only do you save some money on gasoline, you also get some exercise which is good for the body and the mind as well. We have a smart hydro meter installed on our home. This meter records the amount of power we use every hour and then reports this usage to the company that provides the electricity to consumers in our area. We are billed on the amount of electricity we consume during the day and evening at different rates. During the daytime we are on a peak rate level. In the early morning and early evening we are on mid peak rate, while at night we are on an off peak rate. The difference in rates between peak and off peak can be almost half price. The utility in our area has gone this route to encourage consumers to reduce energy use and reduce their electricity bills. Most people now will cook in the evening, dry their clothes in the dryer etc during off peak time frames. This summer we found that our meter was not reporting the usage to the company providing our electricity properly. We were notified that it had to be changed. This change took a few months to implement. Not sure if it is red tape or they are just too busy. However it was over these summer months when usage is at the highest level for air conditioning and pool pumps. We decided we would continue to practice energy reduction techniques during the summer time much as we normally do. It turn out that this was a good approach to take. Turns out that although the meter was not reporting the usage to the company, it was still recording our usage. When the meter was replaced, they took it into the lab and downloaded the usage to their computers. They were then able to reconstruct the billing for us and sent us a new bill. We had been billed up to that point as if our usage was all on the low peak rate. Which of course is to our advantage. This is not to be expected over the long run. We were reassessed. Over a 3 month period we had consumed an additional $421 dollars of electricity. We now had a bill for this much usage. We are now challenging this bill to make sure that they calculated the amount correctly, however I am prepared to pay the electricity as calculated, since we probably used it. 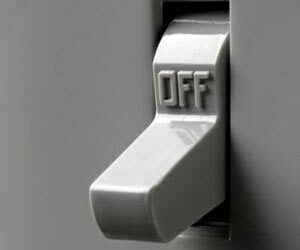 We know couples who do not shift their energy consumption at all and pay a lot higher electricity bills than we do. In one case they were not even aware that this information was available to them. We feel that having this information gives you the power to know when to use electricity and when not to. You can choose to use electricity at high rates or at low rates. Regardless it all comes out of your paycheck and I would rather have more to go around from my paycheck for other things than spend it all on electricity. The smart meter gives you all of this information and you can log onto the website for your company to review how you are using electricity. On this web site we have discussed lots of steps to take to reduce electricity usage. The smart meter provides one more opportunity to manage and control this rather large cost. Check out some of our other pages about specific steps to reduce electricity and to reduce heating costs in the winter and cooling costs in the summer time. These ideas may not apply to everyone or be of interest; however some are quite easy to consider and implement. They can literally save you hundreds of dollars a year or more. 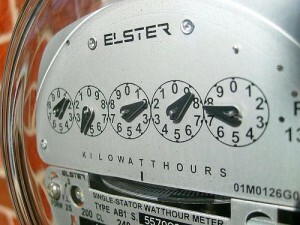 Thanks for reading about smart hydro meters and send us your comments on ideas to reduce energy costs around the home. It is winter time and many people will resort to some kind of space heater to keep a room warm without the need to heat the rest of the home. For example you can be very comfortable in your family room with a space heater running in that room while the remainder of the home is kept cooler and saving you money on the heating cost. There are various types of space heaters. We talked about two types in the title, the infrared and the regular space heater. We will explain the difference in a moment. There is at least one more type of space heater and really that is the fireplace that can be used to keep one room warmer than another. We will first talk about the different types and them discuss the efficiency of each type. Fireplaces – typically are built into a room and cannot be moved around. They may be either wood burning or they may have gas fired fireplaces inserted to avoid having the trouble of carting in wood and lighting fires etc. Space heaters – generate heat by converting electricity to heat. They heat the elements of the space heater which in turn transmit heat to the air around the space heater. Some come with fans which will circulate this heated air around the room and speed up the process of warming the room. These space heaters can become quite hot and both adults and children need to be careful around them to avoid touching them and burning their hands. Infrared Space Heaters – generate heat in the infrared spectrum. They do not heat the air around them at all. The infrared spectrum will heat a surface with the light waves encounter a surface such as a person. Aimed properly a person can sit in a cold room and be quite comfortable as long as the infrared rays are hitting the person. There is no danger from anything hot, although some people may find the light a bit bright especially for sleeping. Efficiency is difficult to measure for many devices, so we will indicate averages that may be available from various space heaters. The wood fireplace is probably the most inefficient. Since most of the hot air goes up the chimney. In fact it draws warm air from your home into the fireplace which then goes up the chimney. All wood burning chimneys must have a source of fresh air. Otherwise they will not burn properly and may even cause smoke to come into your home instead of going up the chimney. Modern wood burning fireplaces will have a fresh air intake installed around the fireplace. 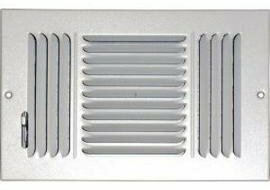 This reduces the amount of air extracted from the home and provide a source of fresh air. The gas fireplace has it owns source of fresh air and in fact is a self contained unit. They are much more efficient than wood burning fireplaces. Older models were approximately 70% efficient without a fan and close to 80% efficient with a fan. The fan blows the warm air around the fireplace into the rest of the home. Never the less these gas fireplaces perform well and will keep a small room like a family room very comfortable. You can allow the rest of the home to be quite cool while you remain comfortable in the room were the gas fireplace is located. Infrared and regular Space Heaters claim to be 100% efficient. While they are very close to being 100%, they are actually a bit less than 100% since some electrical energy is lost in the transmission of the electricity and if there is a fan, some energy will be lost in the operation of the fan. They are so close that many people just consider them to be 100% efficient for marketing purposes. Never the less these small space heaters are an inexpensive alternative to keeping your entire home warm. When all you need is the room where you spend most of your time to be kept warm. Some space heaters will also have timers on them. This allows the owner to set them to coincide with rates that are lower during the day usually in the evening. We recently wrote a post about dual flush toilets for a customer of ours. We were so surprised about the water savings and payback you get when you upgrade from your old toilet to a dual flush toilet, we decided to add this post. I was always of the opinion that upgrading to a dual flush toilet did save money in terms of water usage, but not enough to make it worthwhile from a financial point of view. There are some situations where it makes sense from a purely financial perspective to upgrade your toilet. Of course there are esthetics to consider and also that you now have a modern toilet instead of one that dates back into the 80’s or even older. If you can remove your old single flush toilet and install the new dual flush toilet yourself, then you probably can break even or even get a payback on your investment in less than 10 years. We did several calculations which will support this assertion, however you will need to adjust it to your own situation in terms of water cost as well as whether you hire a plumber or not. Hiring a plumber significantly increases the cost of the new toilet. Some states or municipalities may have rebates as an incentive to save water. We do not have an incentive, however if yours does include that rebate above when you calculate your overall cost of installing a new toilet. Also if you can install the toilet yourself, you can zero out the installation cost of $100. Return on Investment $7.65 (This is the savings when it turns positive for us at 6.5 years. You can adjust the number of years until you get a positive result, which is the number of years that it will take to pay for the toilet. There are some other assumptions that we did not bother to include which could have a significant impact on the results. Rebates for example could have a dramatic impact and cause the payback to be decreased significantly. Also the cost of water is going to increase a lot over the next 10 years. No one knows how much and it will be different in each state. This will only increase the savings even more as rates rise. Completing the installation will also save you a great deal of money and reduce the payback period even further. finally these calculations assumed one toilet in your house. Most homes have several toilets so you will have to add costs for the number of toilets you have and split the number of flushes between toilets. We played around with the numbers a bit and found that if we installed the toilets ourselves, purchased them on sale and received a rebate, we could get the payback period down to 5 years which is pretty good. It does demonstrate just how practical and economical it can be to install dual flush toilets and how much you will save in water compared to your old toilets. We have not taken into account any advantage we might have gained in terms of resale value of our home. It will definitely have an impact on the sale price, however how much is anyone’s guess. If you have crunched the numbers for the location were you live and are able to get the numbers even lower, let us know. We are trying to save money and update our homes at the same time. Gasoline prices continue to rise and yet it appears from the amount of traffic on the roads, no one is cutting back on the amount of driving they do. You still have to get to work, get to the grocery store and get the kids to their activities. However consumers may be cutting down on their gas usage in other ways to compensate for the increased prices at the pump. Prices went down a bit in the fall of 2012 and early 2013, but lately they are beginning to rise again and consumers are bracing for $4 / gallon again this coming summer. Are you ready for these high prices and can your budget afford the increases. We are probably spending an extra thousand dollars on gasoline every year due to the increased prices of oil. The only way we can control how much we spend on gasoline is to either drive less or keep our car in optimal condition so that it uses gasoline as efficiently as possible. It is just a matter of time before we are paying $5.00 a gallon and if you have not already begun finding ways to reduce your gasoline usage, you should start now. 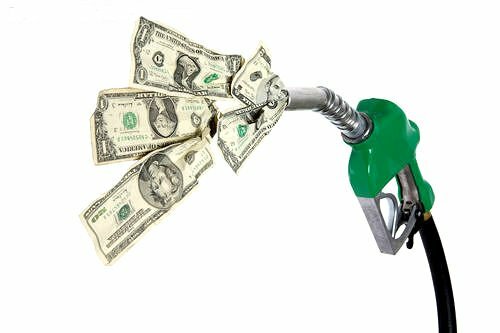 Here is a short list of things that you can do to reduce your overall cost for operating your car and help deal with the increasing price of gasoline. Cleaning the car – inside and out with your own vacuum and hoses. Wash away winter grime and salt build-up to prolong the life of your cars body, this is most important in states and provinces were salt is used on the roads. Check tire tread – make sure that you have sufficient tire tread on the tires to be safe. These are pretty standard things that most people can follow easily without too much trouble. Getting into the habit of checking tires etc is easy and will help you save gasoline. Make sure that the tires are balanced and that your car is properly aligned. all of these things contribute to better gas mileage and reduced cost when you travel. Buy a gas guzzler is another approach especially for commuting. If you have additional ideas to contribute please leave your comments. We can use all of the help we can get these days as prices go higher and higher. Gasoline has recently dropped in price a bit which gives us some breathing room, however any time you can save money and use it for other things, this seems like a good thing to me. 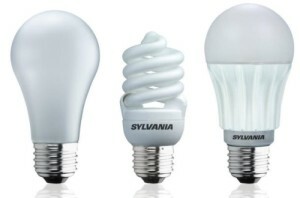 For more information on energy savings ideas, click here. This post may be interesting to people living in colder climates and are trying to save money on their heating bill without being cold all of the time in their homes. If your home is heated by natural gas or oil and you have a central furnace, then your entire house is kept at the same temperature throughout. Why heat the entire house when you need to only heat the rooms you spend the most time in? By heating only the rooms you actually spend time in can reduce your heating cost. This year we are trying to keep the house cooler during the day and the evening and using a combination of a gas fireplace and small electric ceramic space heaters to keep the rooms warm were we spend a lot of time. For example our furnace temperature is set to 19C or 66F, which is pretty cool for many people. Our family room and kitchen is an open concept and we use the gas fireplace in the family room to heat this are of the home and bring the temperature of this area up to 22C or 71F! The rest of the house stays cool and we save on the natural gas consumption since we are not heating the rest of the home. At night we turn off the gas fireplace and we allow the temperature in our home go down to 16C or 61F! Pretty cool! Now some people might consider this to be really cold, however we have a space heater in our bedroom which brings the temperature up to a comfortable level. It has a time and automatically heats the room for us before we go to bed. We can set the temperature at whatever we wish so that we are comfortable through the night. In my office, I also have a small ceramic heater, which heats the room to a comfortable temperature while the rest of the home is kept cool. This seems to work well for us and we save on our natural gas usage, as well as electricity since the furnace is running less and not consuming electricity when the fan is running. Of course we are consuming electricity by using these small heaters, however this is much less than what would be used normally. In theory this should all work and we should save money on our overall consumption of natural gas and electricity. However it really does depend on the rates you pay for electricity and natural gas. It is really tough to figure out unless you have all of the facts. You will definitely save energy and probably money as well by following this approach and enduring the cold in your home and the complaints from your family, however is it all worth it from a dollars and cents perspective? Now it is pretty hard to figure out what you are going to save based on consumption etc, so we will make some approximations which will get us close to the number. For example if you annual heating bill was $1800 and you kept the temperature at 72F all of the time and then reduce the average temp in all of the house to 64, the percentage decrease is 18%. Apply this against your annual cost and you should save around $330 per year. Now as we mentioned your family might disown you if this was the temperature throughout the house all of the time, so adding electric space heaters in the most used rooms can make it more comfortable. We have seen oil filled heaters for around $80 and they take about 1.5kw per hour to run. Using our rates for the day time, this is going to cost you approximately $50 over the year to heat one room. Same thing with heating your bedroom at night. So you are probably looking at a cost $160 for two heaters and increased electricity cost of $100 for both heaters or a total of $260. Of course your furnace will be running less, however we have not factored this into the equation. Based on this crude approximation you are going to be saving roughly $70 the first year and then $230 every year after that based on current rates. Not a huge savings, however every dollar counts and it is better in your pocket than someone else’s. It does get better over time. You can use this approach to figure out what the savings might be for you depending on your homes size and current energy usage. If you are concerned about the environment, you also have to take into account how your energy is produced. When you burn natural gas, you are burning a fossil fuel and depleting the earth’s resources. The same goes for electricity generated by coal or oil fired plants . However if your electricity is produced by nuclear power plants that brings up an entire other issue in terms of the overall safety of these plants. You may not want to encourage investment in more of these plants by using this type of electricity. Electricity produced by dams is far better and does not pollute the environment, although there are 1000’s of acres that are now under water . You have to decide which one you are going to support.